Your cable bill, entertainment expenses and travel extras — these often top the list when families sit down to discuss where they can save money. One expense you should add to your list this year is healthcare costs. Because autumn marks the beginning of the annual open enrollment period for employees, now is the ideal time to sign up for a new health benefit plan or adjust your current plan. Flexible Spending Accounts (FSAs) and Health Savings Accounts (HSAs) are two options for you to consider if you're looking to save money in the new year. But, how do they work? Both FSAs and HSAs are tax advantaged accounts, allowing individuals to set aside money, tax-free, to pay for eligible healthcare expenses such as co-pays, coinsurance deductibles, prescriptions, etc. However, there are several key differences between the two. An FSA, which can only be provided by your employer, generally does not have any eligibility requirement and allows you to set aside up to $2,700 (contribution limit for 2019) in the account — most of which must be used within the plan year. An HSA — which you can obtain on your own or through your employer — requires that you have a qualified high deductible health plan (HDHP). Contribution to HSAs are limited to $3,500 for individuals with self-only HDHP coverage and $7,000 for individuals with family HDHP coverage, and the money can be used to cover medical expenses throughout your lifetime. With all FSAs and employer-linked HSAs, a portion of your paycheck can be set aside for deposit into your FSA or HSA account automatically pre-tax, saving you money in the long run. Plus, your employer may also contribute funds to your HSA. Signing up for an FSA or HSA is a convenient way to ease your spending when your healthcare plan doesn’t cover certain expenses, such as over-the-counter prescriptions, travel vaccines and diagnostic tests. In fact, 48 percent of FSA users said they would be likely to cut back on medicines and treatments if they didn’t have an FSA, according to a 2018 Flexible Spending Account and Health Savings Account Consumer Research study commissioned by Visa and conducted by Kelton Global. According to the study, 89 percent of FSA users agree that saving money through pre-tax contributions tops their list of reasons for having an FSA. In addition to financial benefits, there are emotional benefits to having an FSA. Seventy-nine percent of FSA users said their account helps them take control of their medical expenses and an equal number said it makes them feel confident they can pay for a medical emergency. For added convenience, most pharmacies, grocery stores and other retailers that sell healthcare products have the capability to distinguish between covered items and non-covered items when you pay for them using a Visa Healthcare Card, so you don’t have to wonder whether something is covered. By using a Visa Healthcare Card at these locations, you no longer have to pay out-of-pocket and then submit receipts to be reimbursed for your medical expenses, saving you time and paperwork! There's a reason why 64 percent of FSA users prefer to access their funds with their FSA card, and 74 percent of users without a debit card are interested in one. Likewise, 60 percent of HSA debit card owners cite “easy to use” as their top reason to like their HSA debit card and 86 percent would recommend an HSA to others. As you review your options this open enrollment season, ask your employer if they offer an HSA or FSA with a Visa Healthcare Card to provide easy access to your funds. To learn more, visit www.visahealthcare.com. 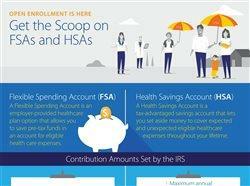 Is an HSA or FSA for you? 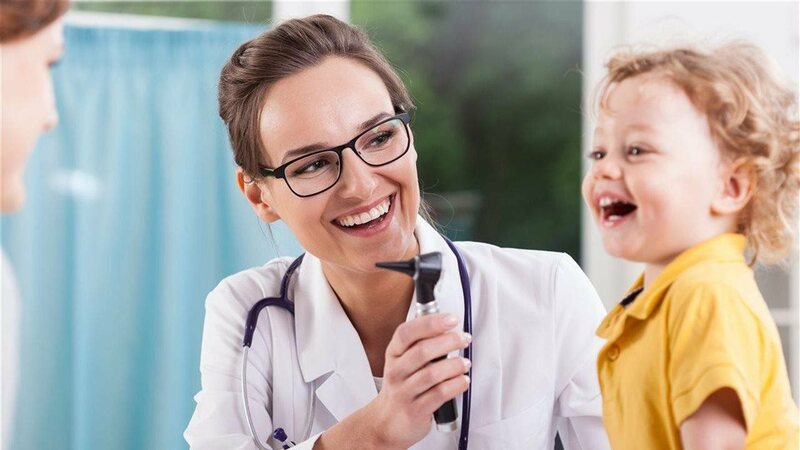 If you choose an FSA, you can contribute a portion of your salary pre-tax to pay for qualified medical or dependent care expenses. 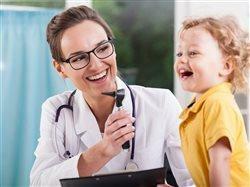 Meanwhile an HSA helps those with qualifying high-deductible health plans pay for current and future medical expenses. HSA plans remain a popular choice with users as 86 percent of HSA debit card users said they would recommend others get an HSA, according to the 2018 Flexible Spending Account and Health Savings Account Consumer Research study commissioned by Visa and conducted by C+R Research. The study also indicates that 89 percent of FSA users agree that saving money, since contributions are pre-tax, tops their list of reasons for having an FSA. In fact, 79 percent of FSA users said having an FSA helped them take control of their medical expenses. The open enrollment period is happening so don't delay.